Satele Shan was a Human female who served as the Jedi Order's Grand Master during the Cold War and the renewed conflict with the Sith Empire. The daughter of Jedi Knight Tasiele Shan, who was herself a descendant of the legendary Jedi Knights Revan and Bastila Shan who had played pivotal roles in the Jedi Civil War several centuries earlier, Shan was born on the planet Brentaal IV in the year 3,699 BBY. Inheriting her family's strength in the Force, she was inducted into the Jedi Order and became the Padawan of Jedi Master Ngani Zho, though she later traveled to Korriban to study under the Zabrak Battlemaster Kao Cen Darach. It was there that she witnessed the return of the Sith Empire in 3,681 BBY, and she escaped to warn the Republic with the help of the smuggler Nico Okarr and a Republic trooper named Jace Malcom at the cost of Darach's life. Achieving the rank of Jedi Knight under the tutelage of Master Dar'Nala, Shan became a hero to the Republic as she led Jedi and the forces of the Republic Military to battle in the Great Galactic War, and she grew close with Malcom despite the Jedi Order's restrictions on attachments. Their bond drove her to rescue Malcom and his small band of Special Forces troopers on the Core World of Alderaan when the Empire invaded in 3,667 BBY, and her arrival turned the tide of the Battle of Alderaan in the Republic's favor. After defeating the Sith Lord Darth Malgus in combat with the help of Malcom, the two began an affair that lasted for six months before Shan broke it off in fear of the darkness in the soldier's heart. However, she was pregnant with Malcom's child, and Shan bore her son Theron in secret with the help of Master Zho before giving the child up to the Jedi Order and returning to the battlefield. In 3,653 BBY, Shan was selected to be part of the delegation that was to attend peace talks with the Sith Empire on Alderaan. However, the Empire used the conference as a distraction while they attacked the Republic's capital of Coruscant, and they then forced the Republic to accept the terms of the Treaty of Coruscant. As the galaxy settled into an uneasy Cold War, Shan foiled a conspiracy to sabotage the new peace perpetrated by Dar'Nala herself, and afterwards embarked on an Force-induced odyssey across the galaxy. The journey led her to the Jedi's long-lost homeworld of Tython in the Deep Core, and for her rediscovery of the planet Shan was appointed to the position of Grand Master and given leadership of the entire Jedi Order. In her new role, Shan guided the Order through a number of crises that arose during the Cold War, and the Grand Master trained her Kiffar Padawan Shigar Konshi to Knighthood. 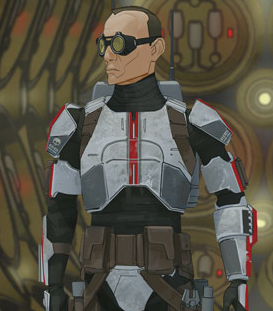 As the Cold War began to collapse, Shan worked with the Republic Emergency Response Corps to protect the fragile peace and the innocents of the galaxy, and was alerted to a dangerous threat from the Sith Emperor by his former servant Lord Scourge when the daring mission that she had authorized to capture the Emperor ended in disaster. Shan helped the Jedi Knight known as the Hero of Tython foil the Emperor's plans and personally led an invasion fleet in an assault on the Imperial capital of Dromund Kaas while the Knight confronted and defeated the Emperor. 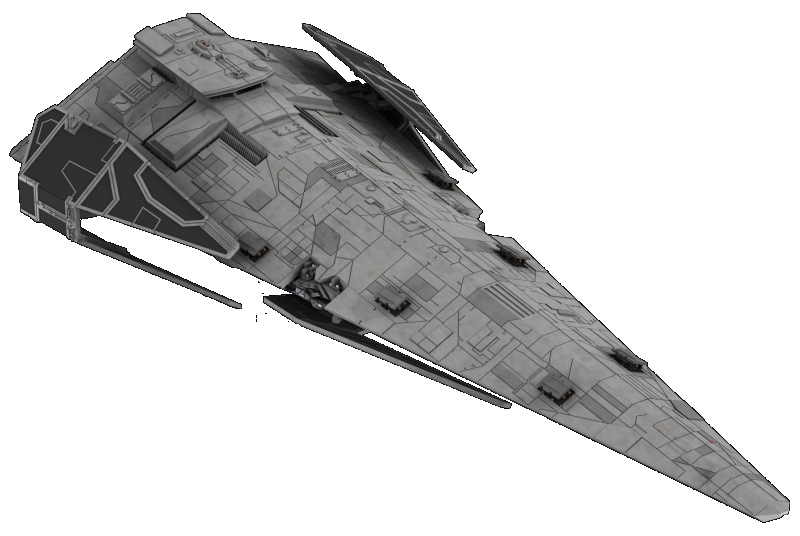 As the renewed war continued to spread across the galaxy, Shan worked with her former flame Malcom in his capacity as Supreme Commander of the Republic Military, and the two achieved victory over the prototype Imperial warship Ascendant Spear at Duro thanks to the efforts of their son Theron. 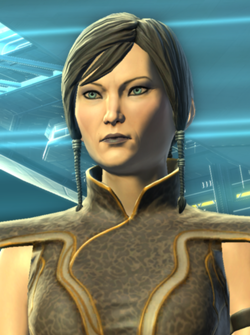 A Human female with fair skin and blue-gray eyes, Satele Shan wore her brown-black hair cut short for most of her life. Shan sported bangs on either side of her face as a teen, though she later replaced these with a pair of braided ponytails. Shan was a relatively short woman, though she radiated a sense of power, confidence, and resolute calm throughout her life that was far beyond her short stature. Shan typically wore tight-fitting combat attire of an olive-brown color with gold trimmings, and she also sported an armband on her upper left arm that had a piece of metal affixed to it. She also donned more traditional Jedi robes of dark brown on occasion, and she frequently wore brown gloves that covered most of her forearm in silver or gray armor plating. In her youth, Satele?who preferred to be addressed by her first name, even as a Jedi Master?inherited her ancestor Bastila's impatience and impetuousness, though those aspects of her personality were later tempered under the tutelage of Master Dar'Nala. Shan was a powerful presence on the battlefield, and her reputation as one of the greatest heroes of the Republic was directly inspired by her actions in the Battle of Alderaan. As a Jedi Knight, Shan was sworn to serve the Republic, and her devotion to her cause and her selflessness drove her to give up the chance at a normal life and a family when she had her son Theron. 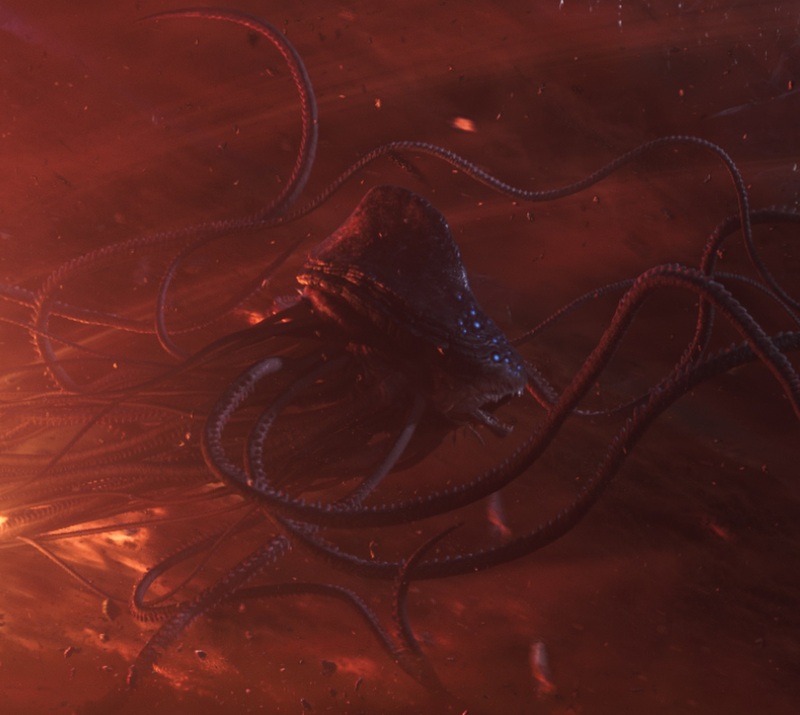 This same sense of duty, coupled with her fear of the dark side's corrupting influence, had caused her to break off her relationship with Theron's father several months earlier. Satele recognized the fact that she would do everything in her power to protect her son, and coupled with the powers and responsibilities she possessed as a Jedi and a Republic hero, she believed the risk was too great and therefore gave Theron to Ngani Zho. Ngani Zho himself was a paternal figure to her, and as a result Shan felt that he was the only person she could trust enough to tell about her pregnancy. Of all of his many students, Zho felt that Shan was the one who made him the most proud, and she was greatly saddened by her Master's passing. However, despite her Jedi teachings and devotion to placing the galaxy's needs over her own, Shan deeply regretted ending her relationship with Malcom and giving up her son, and the memories that were dredged up after meeting her son as his mother for the first time were still painful even twenty-six years later. By the end of the Cold War, Shan was still struggling with her impatience and strongly distrusted the Sith, causing her to aggressively attack Darth Baras when it was discovered that the peace negotiations were a sham. However, over the course of the next few weeks, Shan was confronted with the hypocrisy of her former Master's efforts to disrupt the treaty and realized how Dar'Nala herself had become consumed by the very emotions that she had taught Shan to resist. As a result, Shan came to believe that the current peace was the best possible thing for the galaxy at the time, and dedicated herself to doing good as she traveled the galaxy after the end of the war. As a Jedi Master and later Grand Master, Shan possessed a warm demeanor and an approachable personality, holding herself equal to even the youngest Padawans of the Order. However, Shan's outward attitude belied her true determination and strength of will, and the sense of authority that her voice conveyed could bring even the Supreme Commander of the Republic Military to a halt. Shan was renowned for her wisdom and considered by many to be the Order's voice and conscience, and her prowess in battle and experience with the dangers of the dark side made her both a wise teacher and a powerful warrior.